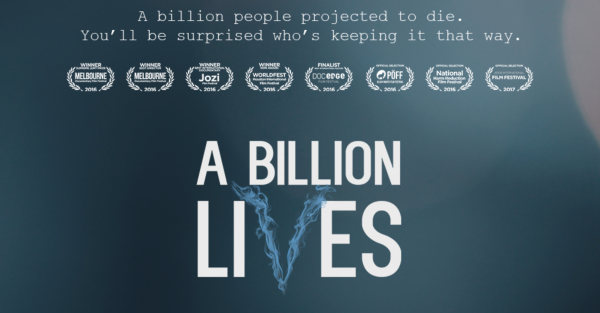 A Billion Lives premiered in May 2016 at a New Zealand screening. Fittingly, the documentary got its release just weeks after the FDA’s insane ruling on vaping, a move that could effectively KILL the entire industry within the next two years. “In theory, anything that wasn’t on the market prior to 2007 could be banned until it was approved for sale by the FDA, unless it could prove that it is “substantially equivalent” to a “grandfathered” product that was being sold. Vaping is a big deal these days. Big tobacco is losing millions of customers every year to small, predominantly Chinese start-ups and independent ejuice manufacturers in the US, UK and Europe. This revolution has been quietly happening for quite some time now, as we see, year after year, millions of smokers ditch cigarettes, often for good, for something infinitely more controllable, cheaper and healthier. Normally, such a thing would be celebrated. Fewer people smoking is always a good thing. It means less death. Less strain on the NHS. Probably less cancer, and a raft of other benefits besides. But just as it is with oil, finance and anything else involving money, all is not what it seems. A lot of powerful groups, individuals, governments, and businesses want vaping banned for good. And they just got one step close to making that a reality with the FDA’s Deeming Regulations. They don’t like its popularity, what it stands for and they want to put an end to it – and they always have an “expert” to vouch for them. And the cost of this is simple: more and more people going back to smoking. A Billion Lives aims to set the record straight once and for all. We sat down with its Director, Aaron Biebert, for a chat about the film, what he discovered while making it and what the future holds for the world of vaping. 1. What inspired you to undertake A Billion Lives? AB: The older I get, the more disenfranchised I get with how much we’re misled about food, medicine, and other important parts of life. In the US, we have the fattest population in the history of mankind. Our food system is unhealthy and terrible. Our government hides it and our big businesses line up to profit from it. My family has tried to switch over to healthier foods, but it’s not always easy when dining out or traveling. Our food isn’t labeled properly. We add tons of chemicals into our foods. When the New England Journal of Medicine published that study showing how E-cigarette vapor had more formaldehyde than cigarettes, I took notice. The whole world took notice. It was all over major news outlets. “E-cigarettes Worse Than Cigarettes”. I have friends that quit smoking after taking up vaping and I was concerned to see that e-cigarettes were worse. After I mentioned the study to a vaper, they pointed me to one scientist’s rebuttal showing that the entire study was built on the false premise of overheating the liquid. The entire study was a sham. However, it was too late. The public rarely follows the news for very long. In many people’s minds, vaping is now just as dangerous, if not more so, than smoking cigarettes. Smokers are now uncertain of the benefits of switching to vaping because of such news. They keep smoking. When I saw that a billion people will die this century from smoking, I became alarmed. Any other product/disease that kills a billion people would have scientists working around the clock figuring out the best way to stop the deaths. In this case, most of the scientists seem to be following the money and putting out studies that hurt the only real alternative people have. The media blindly publishes the stories. Around the world, public health leaders and politicians push to ban or tax vaping. There is a story there. It needs to be told. 2. What do you hope to achieve with the film? AB: I’d like the film to be used as a way to open up the conversation. There is so much animosity between the anti-vaping forces and vaping advocates. This will allow politicians and leaders to step out of the fray and focus on the facts. The media weighs in periodically, but plays it too safe or focuses on negative stories that are often incorrect. The public needs the information. This film will provide it. I also hope that people will find it beautiful and very interesting. Not everyone vapes. I hope the beautiful footage and amazing soundtrack will give everyone something. 3. What’s your personal take on vaping? Do you vape? If so, what’s your gear of choice? AB: I don’t smoke or vape. 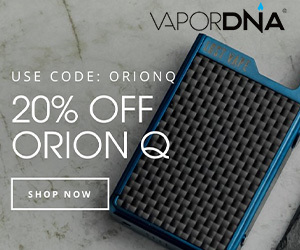 I do smoke cigars periodically and have tried vaping so I could understand it. Personally, I’m not against smoking or vaping. I think people need all the information and then should make their own choices. 4. Just how sinister is Big Tobacco? I mean, we’ve all seen The Insider, but its war on vaping is something else. What’s your view on the obvious corporatism that is occurring here? AB: I’m not a fan of Big Tobacco, but I don’t think it’s the biggest enemy of vaping. They just want to make money and that’s something we can always trust. They are starting to do that by selling E-cigarettes now. At the Global Forum for Nicotine, I ended up sitting by a Vice President of a major tobacco company. He indicated that they’d like to switch as much of their business to E-cigarettes as possible. He said they make more money on that business. They do like to throw their weight around and it does look like they’d like to hurt open systems right now. However, any intelligent regulator or lawmaker will be able to see right through that. The bigger problem is darker corruption forces at work. Big Pharma, Big Media, Big Non-Profits, Big Legal, and Big Government all have an addiction to money and they are sacrificing their core missions in pursuit of it. That’s what I’m most worried about. 5. What’s the most interesting thing you’ve found out while making the film? AB: Nobody really trusts Big Tobacco, but I was shocked to see how corrupt “trusted” organizations are. Very sad. It’s hard to know who to trust. It’s only made my passion for this film grow. 6. The burgeoning economy around vaping is HUGE. 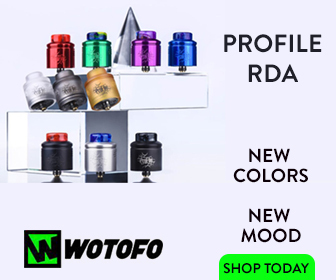 Local vape shops, online business. 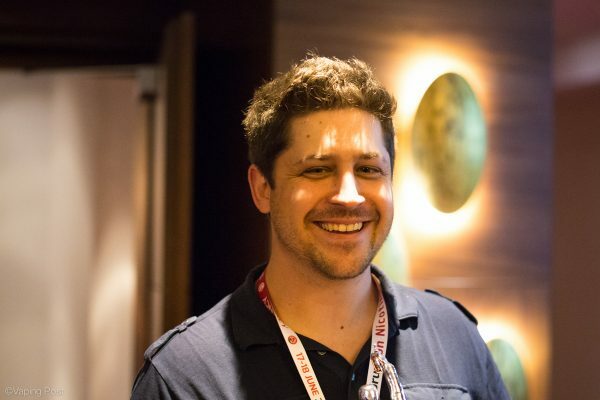 How do you see this developing and/or adapting in the face of bans and heavy regulation? AB: It looks like vaping is nearly non-existent in places like Australia due to bans. Marijuana is illegal in many places, yet fairly popular. Anywhere vaping has become popular will most likely see a vibrant black market pop up in the face of a ban. Anywhere that bans vaping before it takes off will see the status quo maintained: lots of dying smokers. They need to re-evaluate their laws. I hope this film will help. 7. Did you speak to any pro-vape doctors and/or researchers? What did they tell you? The mainstream media seems obsessed only with negative reporting on ecigs. AB: Yes, Big Media is obsessed with negative reporting. It makes them more money. We sought out as many researchers and doctors as we could. I don’t want to spoil the film, but I will tell you that they address much of the confusion and misinformation out there. 8. Do you think vaping should be regulated? AB: Yes. Some regulation is probably good. I like to know what I put in my body, so labeling requirements are helpful. I also think vaping supplies should be exclusively for adults. I think lawmakers need to err on the side of choice. People make good decisions when they have the correct information. Alcohol isn’t harmless, but our society allows it with some regulation. That’s probably where we should start. 9. Who’s worse Big Pharma or Big Tobacco? Big Tobacco kills more people. Big Pharma lies to more people. 10. When and where can I see A Billion Lives? AB: The film will premiere in early 2016 and be in theaters after that. The theater locations will be determined by our fanbase and how active they are in different areas of the world. Afterward, we will release it on DVD, Blu-ray, and various on-demand outlets. People can sign up for updates at ABillionLives.com. If you want to watch the full movie, you can do so through A Billion Lives’ official website.